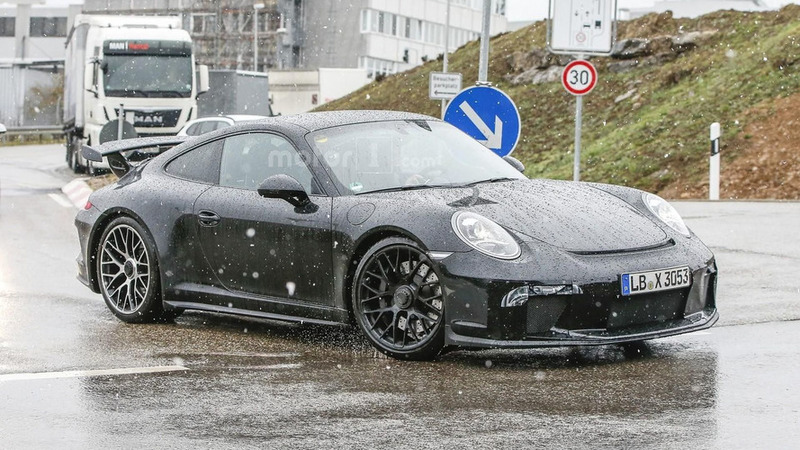 Porsche continues to roll out facelifted versions of the 911 and it appears the 911 GT3 is next in line as the model has been spied undergoing testing in Germany. Moderately disguised, the facelifted model will follow in the footsteps of the 2016 Porsche 911 Carrera and adopt a new front fascia with revised air intakes and updated headlights. The model also appears to have new door handles, restyled wheels, and modified taillights. The interior will largely carryover but we can expect to see a new Porsche Communication Management System with a seven-inch display. The updated infotainment system will have Apple CarPlay compatibility as well as a significantly improved navigation system with real-time traffic information and Google Earth / Google Streetview integration. Little else is known about the model but it is expected to be powered by a naturally-aspirated 3.8-liter six-cylinder boxer engine. The current model has 475 horsepower and 325 pound-feet of torque but the facelifted variant will likely come with a little extra oomph. 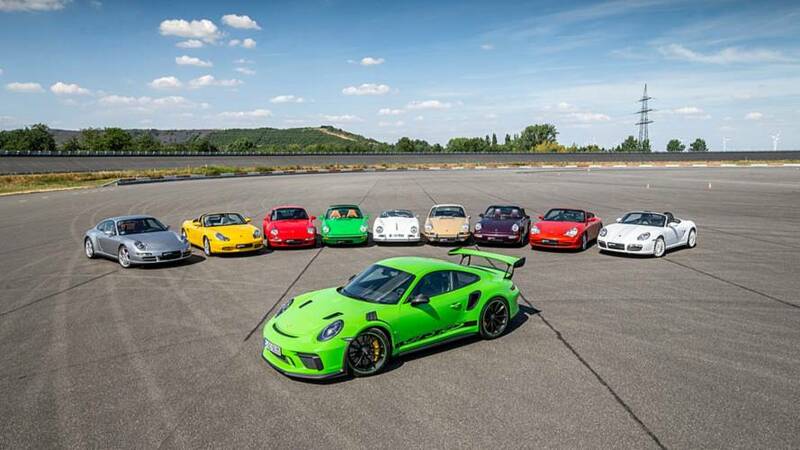 The facelifted Porsche 911 GT3 is expected to be introduced later this year as a 2017 model.